The Kisi Controller allows you to unlock the doors from your mobile phone within the app. When connected together, this kit gives you the ability to connect one access point and control it from your mobile device. 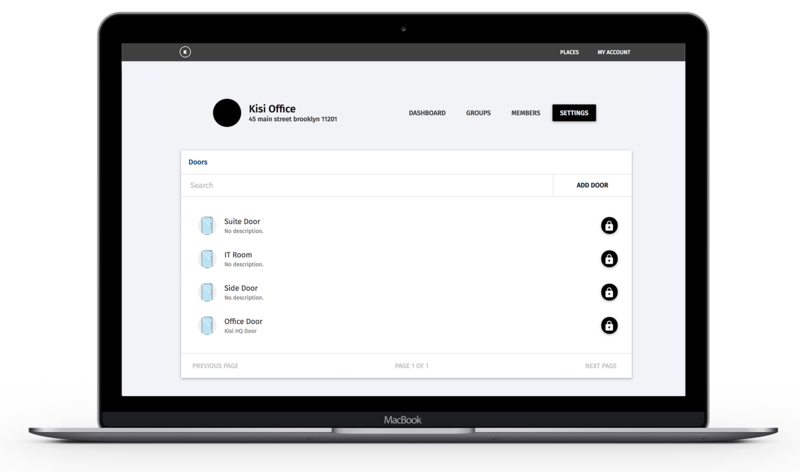 The 5-User Key Management License communicates with the Kisi Controller Pro to decide which users can control the access point. 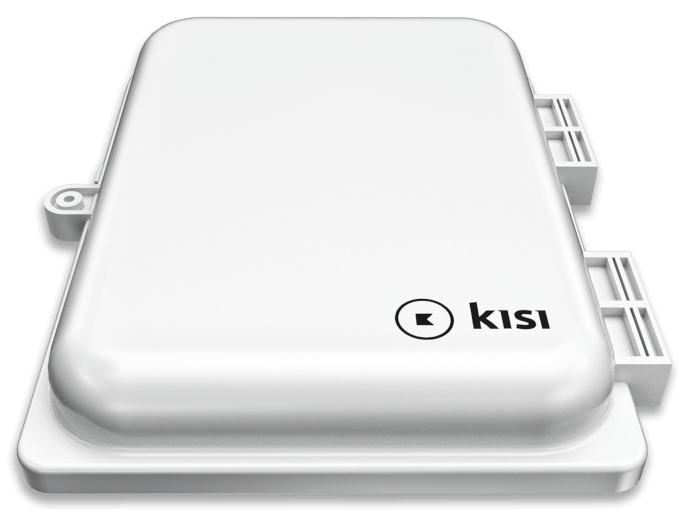 The included Kisi Controller Pro connects to the cloud over ethernet or 2.4GHz/5GHz WiFi. The kit also includes the controller 24V DC power supply that you’ll need to power the internet-connected Kisi Controller Pro. You set up the hardware with the instructions as a table demonstrator. 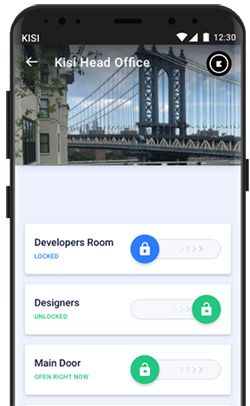 This would include all logical and hardware functionality, however it will not unlock the door. You install the hardware in combination with your existing system. We’ll provide instructions on how to do so and if you feel unsure about it then you can hire an installer. You, or a professional installer, instal Kis'si Access Control Kit in your IT room or demo door for evaluation. We can recommend an integrator that we partner with based on your location (both domestic and international); however, professional setup involves an additional cost. User experience with Kisi App. Allows you to test if your users would like Kisi. Allows you to check if Kisi has all the functions you need, or you can test integrations to see live functionality. Allows you to understand how Kisi works with your setup and the ways it can be deployed.